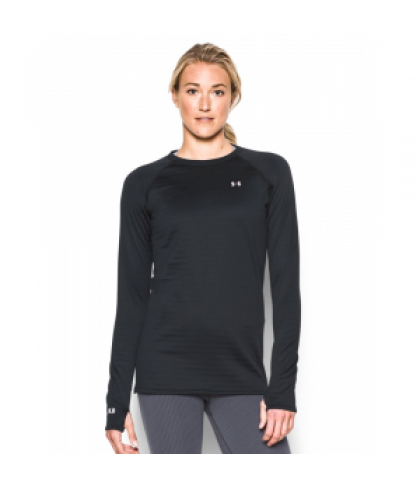 Under Armour Women's Base 4.0 Crew Long Sleeve UA Base(TM) 4.0: Mega-grid thermal fleece for the ultimate warmth in the brutal cold Thermal grid fabric traps heat in tiny pockets for long-lasting protection. Quick-dry construction wicks moisture to keep you drier, lighter & more comfortable. 4-way stretch construction moves better in every direction. Anti-odor technology prevents the growth of odor-causing microbes. Raglan sleeves. Flatlock seams eliminate chafing. Thumbholes keep sleeves secure & help seal in your body heat.